This is the bridge we take to go to Newport, which is where we get groceries, supplies, gas and see movies. It’s about 20 minutes away. It was completed in 1936, and has a great Art Deco/Goth look. 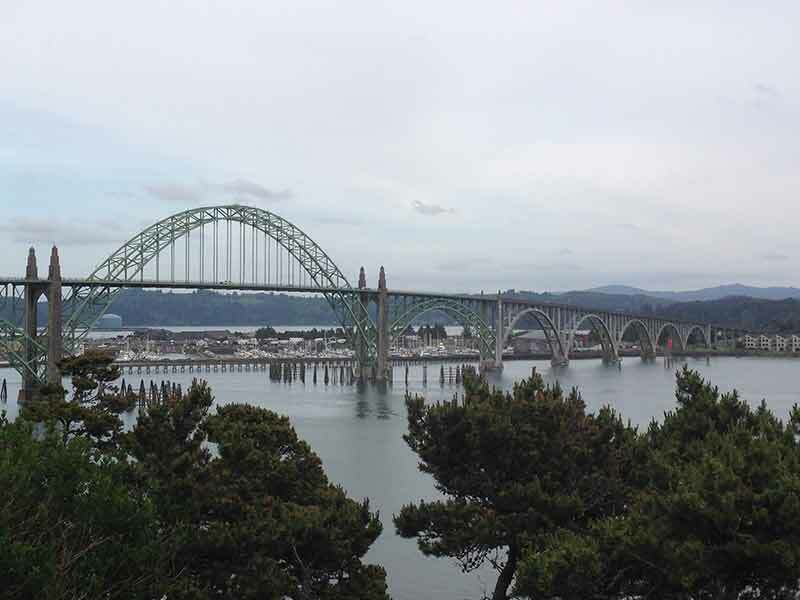 It’s a little more than 3,000 feet long and sits about 250 feet high above the Yaquina Bay in Newport Oregon. My wife (Toni Johnson) took this with her iPhone.